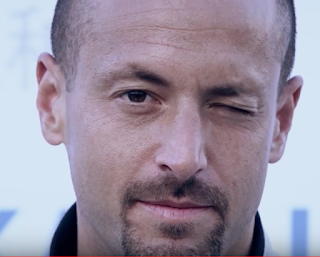 La Jolla, California -- Sources close to Professor Phil "Strongman" Baran inform us that he his quietly announced his surprise early retirement. Says Baran, "I'm really tired of organic chemistry, and want to move forward in pursuing my passion project -- artisanal organic free-range grass-fed bodybuilding supplements. Given the immense responsibility of running an ethically-sourced supplement company, I just can't juggle being a PI any more." Analysts at BBT (Baran Bodybuilding Technologies) announce their excitement about the newly-developed supplements: "We've developed a secret formula that maximizes development of so-called vanity muscles (pecs, biceps, and abs), while minimizing any undesired hypertrophy of annoying functional muscles (e.g., quads). Finally practitioners can achieve that 'ripped-torso, chicken-legs' look that everyone strives for." Baran doesn't have an estimate of when his product will go to market, saying, "I've got to graduate all these pesky PhD candidates in my lab first. Then, the real work can begin." Pfizer approached us, saying traditional Birch is bad news for med chemists (alkali metals are spooky; condensing ammonia is gross; the whole thing is a lot of effort). They asked us to make a better Birch. We developed some conditions to effect the Birch transformation with electrochem. Basically, the conditions are mix substrate, LiBr, electricity, DMU, a key phosphoramide additive (TPPA), and THF. No ammonia, no alkali metals, no cryogenics. Intuitively, one might naively assume that what's going on here is that the LiBr is reduced to Li(0), and from there the reaction goes through a standard chemical Birch mechanism. We assumed that, naively (at first). Turns out, that mechanism is not at all the case, as demonstrated by much experimental and computational mechanistic study. Instead, the substrate is reduced directly on the electrode. Further, Li(0) is never generated at all. Safe stuff. Cool beans. We went back to Pfizer with this. They seemed pretty happy. Oh, also the reaction works in flow, on >100 g scale. Oh, also, the key phosphoramide additive, that makes everything work, came from the Li-ion battery literature. A huge shout-out has to go to our collaborators: Shelley Minteer and her group (led on the student side by postdoc David) for electroanalytical work, Matt Neurock and his group (led on the student side by grad student Sagar) for computational work, and our longtime buddies at Asymchem (led by Longrui) for scaleup and flow work. We should also note that this whole collaboration is driven by the CCI electrochemistry consortium, which has been a tremendous way to put people from various subfields of electrochemistry in touch with one another. to make a scary reaction more clean. for his reaction was bad. but alas, he is deader. Well, writing up this blog post somehow slipped through the cracks for a year (Sorry!! ), but without further delay, here's how we do the technique. Step 1: Building the glassware. We use these columns on crude reaction mixtures from ~10 to ~500 mg scale. For smaller scale than this, we use prep TLC; larger, just a standard reusable column. To build the column, for 10-50 mg, we just use a Pasteur pipette as the column. For 50-200 mg, we build it out of a 16 X 150mm tube. For 200-500 mg, we build it out of a 25 X 150 mm tube. It's a bit tricky the first time, but gets simple with practice. Step 2: Building/running the column. When the column is finished, here at Scripps, our EH&S allows us to dispose of the whole thing, tube and all, into our silica waste stream. Check with your EH&S for what to do at your institution. Regardless, the best part of this technique is there are no dishes to wash! Our paper describing the total synthesis of Teleocidins B-1–B-4 is now published in JACS! I started working on this project in November 2017 and completed the synthesis in June 2018. I then spent another 6 months optimizing the route to increase the yield and decrease the step count. In the biosynthesis of these molecules the indolactam core is transformed into Teleocidin by a Friedel-Crafts type reaction with a terpene fragment. 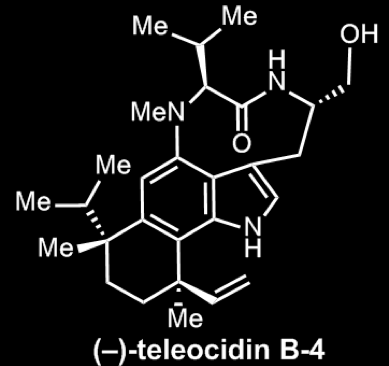 However, nature’s synthetic strategy provides a mixture of Teleocidins B-1-B-4 which is something we wanted to avoid. When I started to evaluate our own synthetic strategy, I immediately identified the introduction of the two quaternary carbons to the indolactam core in a stereocontrolled fashion as the major challenge (even one sterically hindered quaternary carbon can be difficult!). 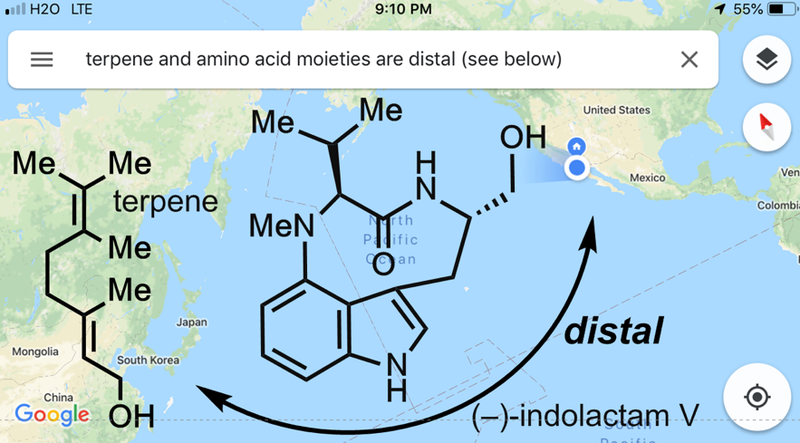 I knew we would have to establish the relative stereochemistry independently because the terpene fragment and amino acid moieties are quite distal. 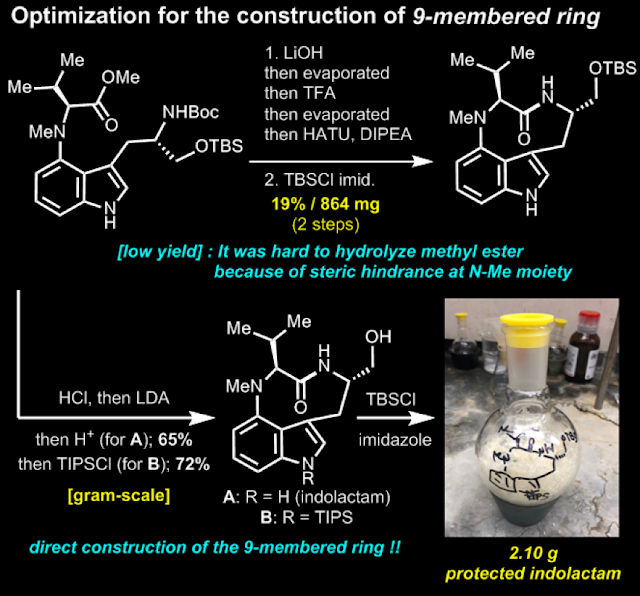 I also realized we needed to install a functional handle on the indole moiety in a highly regioselective fashion to facilitate coupling with the terpene fragment.With a bit of luck (and a lot of hard work) we were able to overcome these challenges and you can find the details in the paper/SI. I wanted to use this blog post to provide further insight into some of the key reactions which led us to success. The first step in our synthesis is an electrochemical amination between our indole scaffold and valine. After optimization, I tried to scale up the reaction using some conventional large glassware which I bought from our local Japanese supermarket. However, almost no desired product was observed and even worse, I lost 6 grams of starting material along with the nickel, ligand and my time. I was so shocked that I couldn't even find my tongue! Phil suggested to try again but this time using the ElectraSyn carousel. The switch in setup facilitated reactivity and with a little optimization the desired product was formed in 51% yield. I also want to highlight one of the unexpected problems we faced in this synthesis which is not described in the paper. While the desired indolactam is commercially available, it costs $274 per mg (Sigma) so it was a bit outside of our budget! We first tried to make the 9-membered ring by hydrolysis of the valine methyl ester followed by condensation using HATU, but the desired product was isolated in just 19% yield. However, after plenty of screening we found that the use of LDA was crucial for this reaction and we managed to obtain 2.1 grams of the protected indolactam! That was a really great day in the lab. In April 2018 I was joined by Kosuke, a very talented visiting student from Osaka (Japan), who really helped me to optimize the route to what is now shown in the paper. Yuzuru, an amazing graduate student, also helped me by optimizing a key reaction and preparing a late-stage intermediate. I want to thank the team and especially Phil who was always ready with a lot of suggestions. I can definitely say he never compromises in the quest for an ideal total synthesis. Our latest paper, which arose from a collaboration with the radiochemistry team at BMS, describes a new approach to carbon-14 radiolabeling and is now published in JACS (after previous submission to the ChemRxiv). I began working on this project as a visiting student in October 2017 and it has been an amazing learning experience with some tough challenges and valuable lessons. In this blog post I want to discuss some of the interesting problems we encountered upon diving into the field of radiochemistry. To summarize, our synthetic approach consists of the formation of a redox-active ester followed by a chemoselective nickel-catalyzed decarboxylative carboxylation to reintroduce the (now radiolabeled) carboxylic acid. That carbon-14 label is a useful tool for radiochemists to perform the absorption, distribution, metabolism, excretion and toxicity studies required for drug development. Our method has some nice advantages including the two-step degradation-reconstruction synthetic approach (starting from the unlabeled product which is usually available in plentiful supply) and the use of [14C]-CO2, the cheapest and most common carbon-14 reagent. 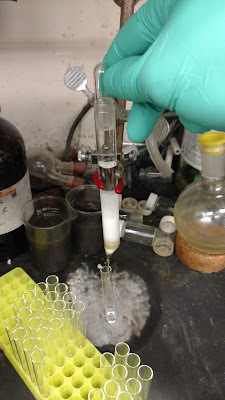 During the initial reaction development, we successfully performed the desired decarboxylative carboxylation sequence using 50 psi of [13C]-CO2. Although this procedure allowed us to test the scope of the reaction (scheme 2 in the paper), our collaborators let us know the pressure and use of excess labeled reagent were big problems when it came to translating to radiolabeled [14C]-CO2. We first considered limiting the stoichiometry of the [14C]-CO2 to about 10 equivalents while maintaining the pressure in the system. Several options were considered included pressurizing with an inert gas (discounted due to the dependency of the concentration of CO2 on its partial pressure, rather than the overall pressure), pressurizing with unlabeled CO2 (avoided because it would dilute the radiolabel too much) or using amine additives to sequester the CO2 into solution and promote reactivity (no reaction observed presumably due to coordination to/deactivation of the catalyst). Thinking further about the factors which influence the concentration of a gas in solution we realized it may be possible to accomplish our goal by simply cooling the reaction down. Gases are more soluble at colder temperatures (when most gases dissolve in solution the process is exothermic, an increased temperature causes an increase in kinetic energy which promotes gas escape from solution). 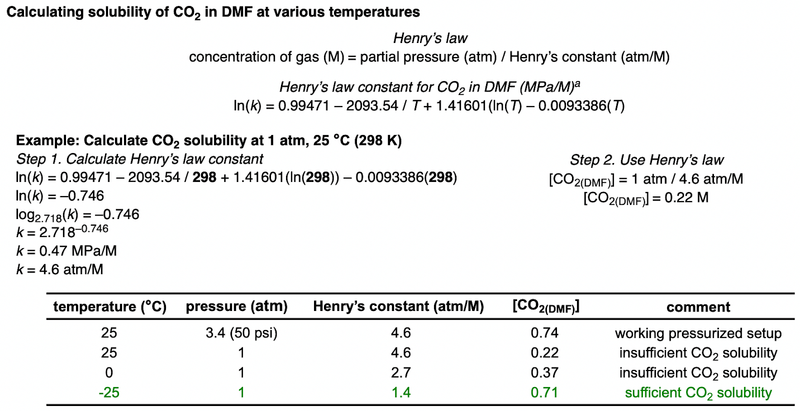 Through use of Henry’s law, the concentration of CO2 in solution under the pressurized [13C]-CO2 conditions was estimated. With this figure as a target, the temperature required to obtain a similar concentration at atmospheric pressure of CO2 was calculated to be about -25 °C. 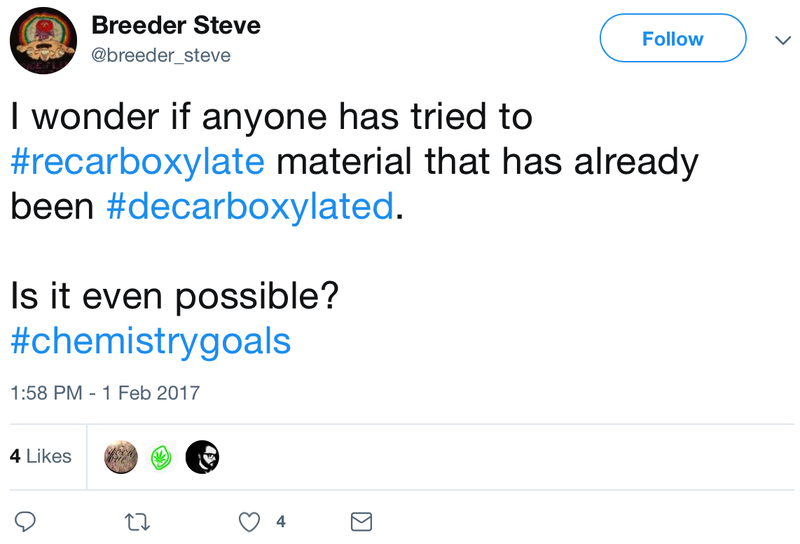 Although we think Breeder Steve may have been considering one particular decarboxylation process, we can conclusively say the answer is yes #chemistrygoals! I would like to thank everyone in the lab for all their help on this project and please check out the complementary carbon isotope exchange methods just published by the Shultz group at Merck and the Audisio group at Université Paris-Saclay. Our recent syntheses of herqulines B and C have been published today in JACS. While the paper describes the direct nature of our final approach towards these highly strained alkaloids and even hints at some of the difficulties encountered along the way, the truth is that the journey towards the herqulines was a two-year campaign plagued by failure and confusion. There were many lows along the way, but there were also some highs that made it all worth it. In the end, I learned many lessons about chemistry, but more broadly about science, problem solving, time management, and the formula for a truly winning team (huge shoutout to my partner in crime, Chi He). As I’m sure many of you know, what is reported in a synthesis paper is most likely the end result of many more lessons learned that are not visible in a short communication. Thus, I hope to convey a sense of this in the space below. 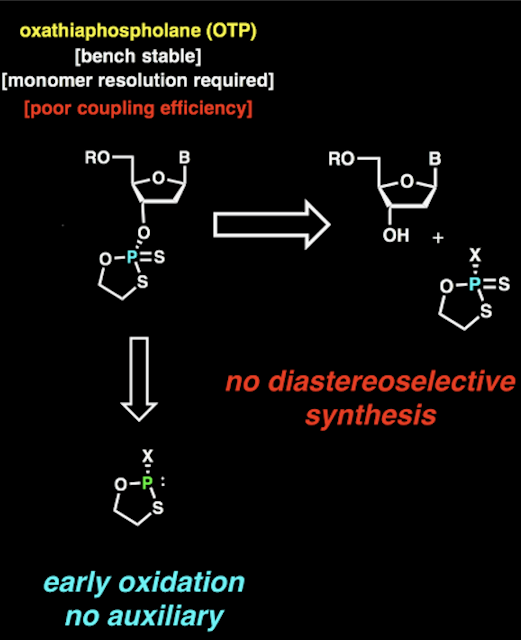 Our first approaches were predicated on the (spoiler alert: incorrect) precedent that Birch reduction of a strained biaryl was not a viable strategy towards our target. I’ll spare you from the gory details, but well over a year was spent perusing a host of strategies that ultimately led us back to the strategy in the paper, in which the macrocycle is built as a biaryl DKP. Our task was simply to defy all precedent and reduce two aromatic rings and a DKP all within a highly strained, unstable core. Initially, I set out to reduce the DKP, while Chi fearlessly embarked on a quest to perform the first Birch reduction. For the DKP reduction, most common hydride reducing conditions resulted in either decomposition or monoreduction of the tertiary amide. One standout example, however, was Brookhart’s Ir-catalyzed amide reduction mediated by diethylsilane. However, the resulting biaryl diamine was highly unstable in our hands, and could not be isolated. It seemed that the strain was just too much and thus one of the aromatic rings needed to be reduced first. To that end, Chi had screened a range of Birch conditions and protecting group swaps and was beginning to see some potential (see figure). While the regioselectivity was incorrect, it nonetheless proved that this strategy could potentially be fruitful. The true complexity of the situation was soon realized when we discovered that when the DKP nitrogens are both N– H, the regioselectivity flipped and it matched our product’s requirements! This was a truly exciting day but much work still needed to be done, as the natural product of course has one methylated nitrogen. We quickly prepared the asymmetric DKP macrocycle found in the herqulines (up until that pointN-methylation was somewhat of an afterthought) only to find that the regioselectivity was again incorrect. 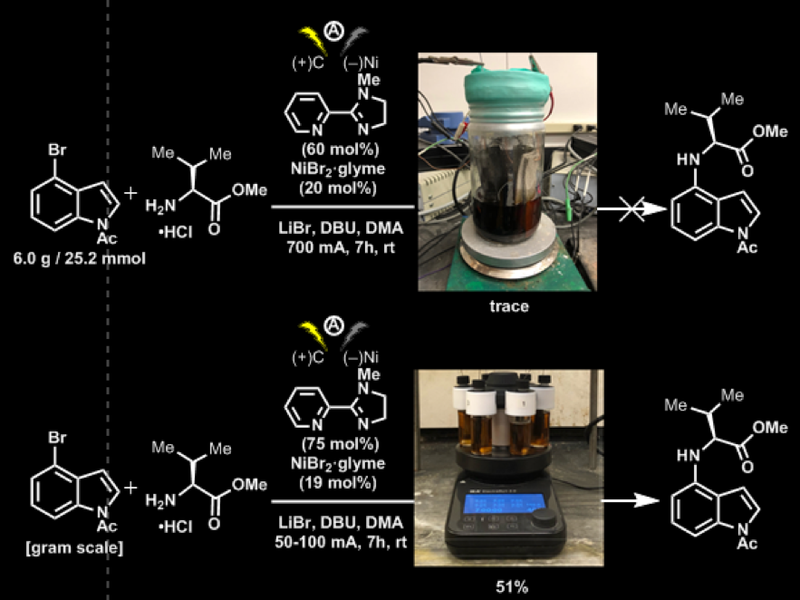 To complicate matters further, the resulting styrenyl position readily was reduced under most Birch conditions screened, and we even saw some elimination of methanol and additional styrene reduction. After screening all known metals, solvents, temperatures, concentrations, and additives, we had only proton sources to screen before giving up on yet another strategy. 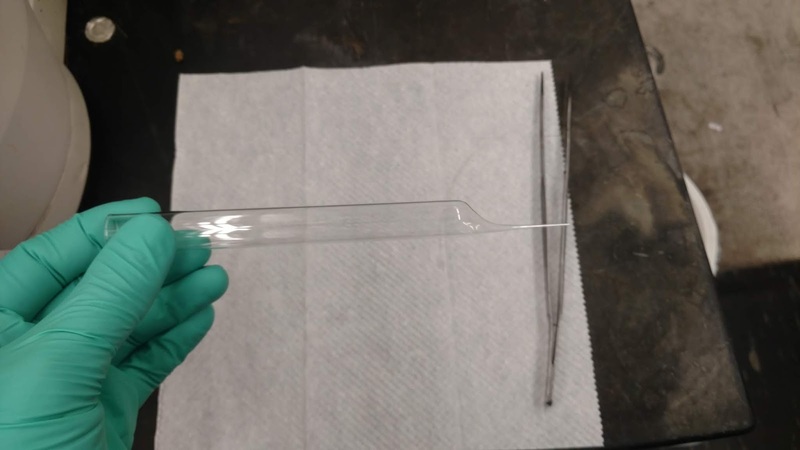 We screened a bunch of proton sources which all gave the same negative result, with the exception of 2,2,2-trifluoroethanol, which cleanly delivered the desired regioisomer! This breakthrough was the result of empirical observation and to this day the mechanistic underpinnings of this selectivity are at best conjecture. Recalling our above efforts to effect DKP reduction, Brookhart’s Ir-catalyzed amide reduction again reduced both amides to the corresponding piperazine. We were now one Birch reduction away from the promised land and excitement was brewing. Of course, the synthesis gods were not ready to smile upon us yet, as every Birch condition screened resulted in either no reaction, or reduction of either homobenzylic position prior to any reduction of the second aromatic ring. We were back in the familiar position of despair, beginning to think that at this advanced stage we would ultimately fail once again, when it occurred to us that ketalization may be a viable workaround, given its ability to relieve strain (two more sp3 carbons), alter the conformation, and remove a double bond (improving selectivity). After some screening, the ethylene glycol ketal proved a competent substrate and the second Birch proceeded cleanly, with the correct regioselectivity. 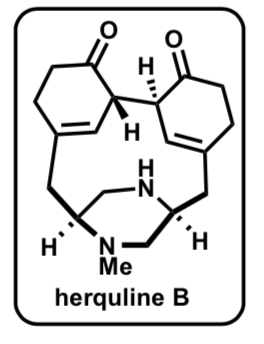 Simple hydrolysis delivered herquline C, which, after a few days in CDCl3, equilibrated to an approximately 1:1 mixture with its more stable congener, herquline B. 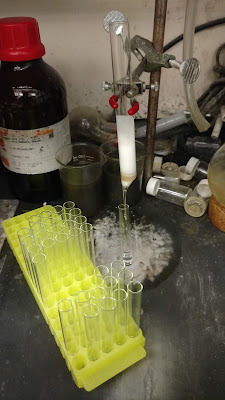 Treatment of herquline C (or this mixture) with DBU in toluene brought about clean conversion to pure herquline B, thus wrapping up an adventure that we will not soon forget. In the end, the simple, direct approach panned out. When I look at this route now, this pathway even seems obvious, but if you’ve read this far (sorry if I got a bit long-winded), you’ll know that this route was the result of much experimentation and intimate understanding of the reactivity and stability of every intermediate along the way. 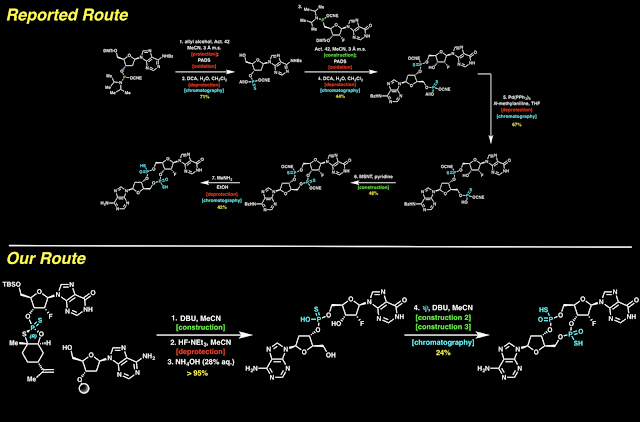 In short, this was a hell of an adventure in total synthesis. Thanks for reading! p.s. 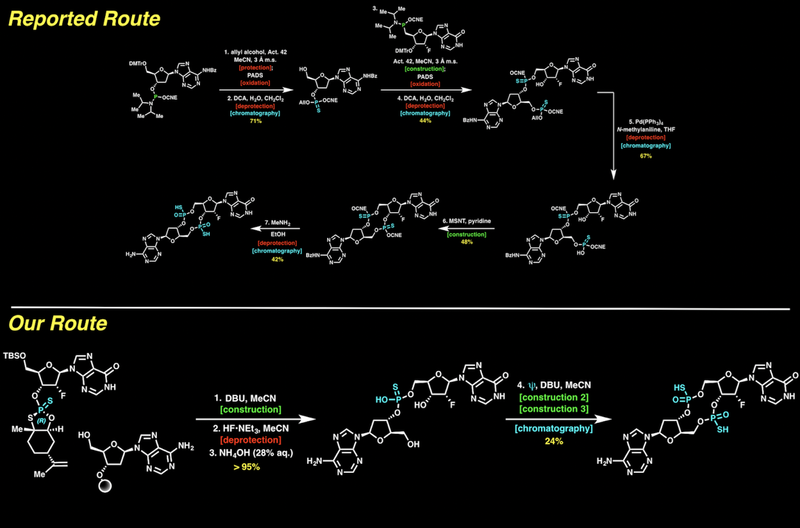 See also the Wood group's elegant synthesis of the same molecules! August marks the start of the academic year here at TSRI, and with every new semester I become a bit retrospective about my own first year of graduate school. 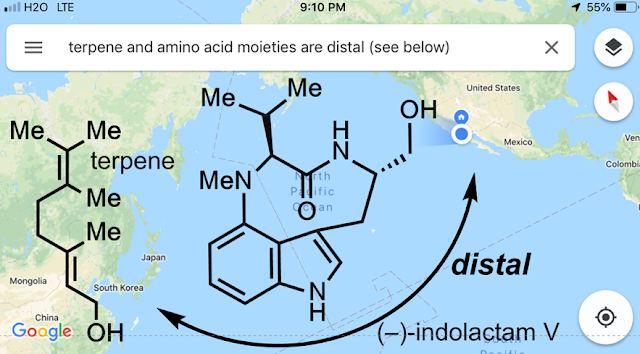 Before I joined the Baran Lab, I was certain that I had a handle on the types of chemistry the group pursued: small-molecule secondary metabolites, usually with a twist. I arrived determined to work on a Baran standard. Instead, Phil pointed me toward a perspective written by Professor Albert Eschenmoser in which he laments the fact that, though a decidedly natural products problem, the synthesis of DNA had gone virtually ignored by natural products chemists (Tetrahedron 2007, 63, 12821). 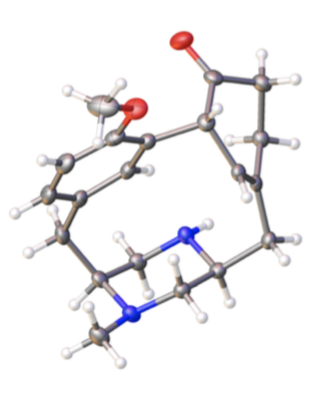 Arguably the most important molecule in natural history and we, as a community, missed it. This quote became a quiet mantra of sorts, driving much of my interest in the synthesis of biomolecules (see: macrocyclization,CITU,peptide functionalization, and more musing on peptide functionalization). 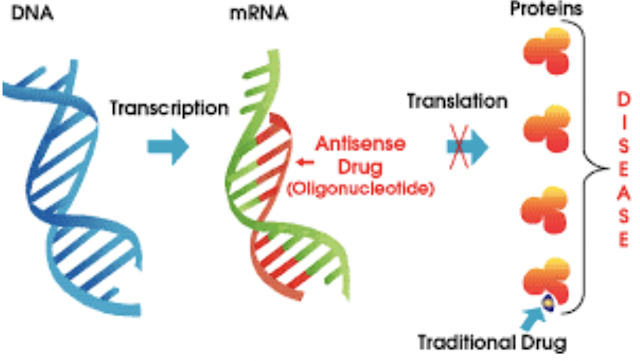 Then, about two years ago, a variation on the problem was presented to us by collaborators at Bristol-Myers Squibb: Can we improve the synthesis of medicinally-relevant oligonucleotides? 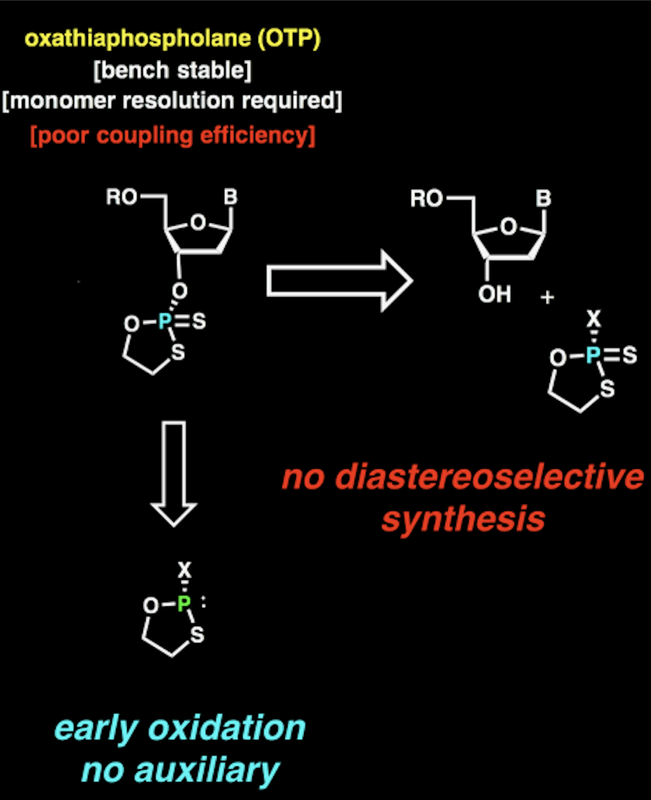 Despite our collective lab ignorance around oligonucleotide synthesis, a remarkable graduate student, Kyle Knouse, was brave enough accept the challenge. 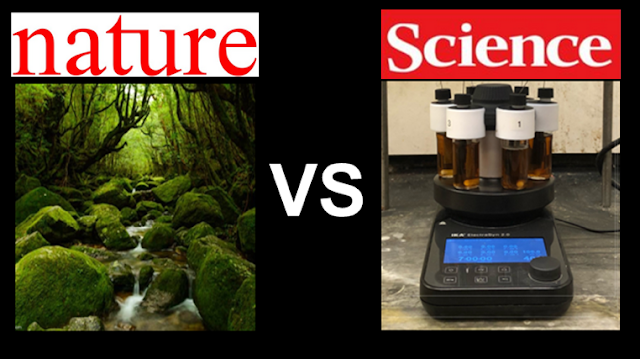 It’s important to emphasize here just how courageous this choice was: The lab had no experience and no equipment with which to rewrite the rules of oligonucleotide synthesis. Given my stated interest, I was asked to join the project and—together with Drs. Martin Eastgate, Mike Schmidt, and the BMS team—we began to survey the existing literature. [left](L to R): Dr. Chao Hang, Dr. Antonio Ramirez, Dr. Ye Zhu, Dr. Mike Schmidt, Dr. Bin Zheng, Dr. Jason Zhu, Dr. Matt Winston, Dr. Changxia Yuan. Not pictured: Dr. Ivar Mcdonald, Dr. Rick Olson, Dr. Stephen Mercer, Dr. Qinggang Wang, and Dr. Peter Park. [right] Dr. Martin Eastgate. 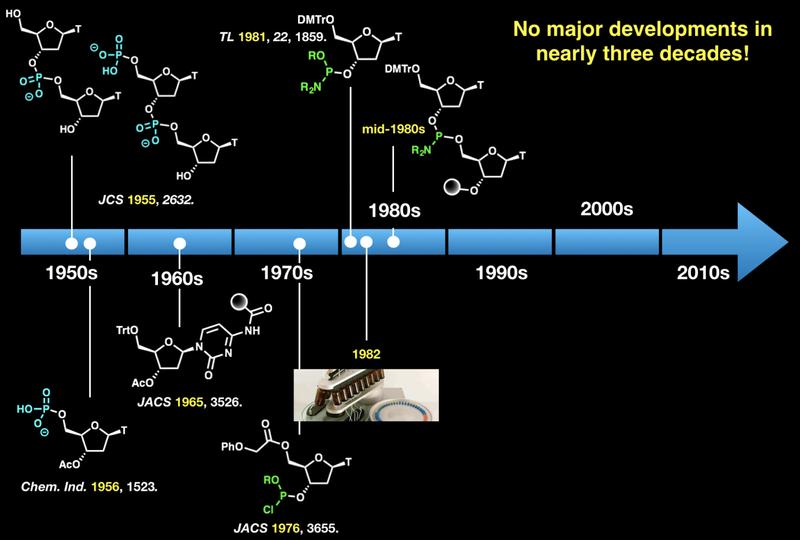 We discovered that while the earliest reports of nucleotide synthesis relied on the natural phosphorous (V) oxidation state, the late 1970s saw the lethargic P(V) largely supplanted by P(III) in the form of phosphoramidites and H-phosphonates. Perhaps most striking was the apparent reliance on incremental modifications to advance the field; the P(III)-based phosphoramidite approach remains the standard mode of construction to this day. Had we any expertise, we almost certainly would have followed suit. For most, P(III) represented the most practical way to assemble oligonucleotides; to us, it was an unnecessary shackle. Liberated by our naivety, we chose instead to approach the problem as we would any other natural product: identify the most logical disconnections, limit concession steps, and aim for ideality. Adding yet another layer of complexity, both teams were specifically interested in P-chiral phosphorothioate oligonucleotides. We set forth with an ever-expanding list of requirements: the platform need be inexpensive, bench-stable, modular, and simple to purify; it must operate under complete stereocontrol, with near-equal access to both enantiomers of the chiral backbone; and, finally, it should feature a generality able to tame even the most discriminating of deoxyribonucleoside monomers. Building on chemistry developed in Stec’s lab, the team synthesized a P(V)-reagent in one step from limonene oxide, which served as the chiral scaffold. The original approach, while creative, fell short in several important ways; Stec himself cited the tedious reaction protocols, difficult diastereomer separations, and operational complexity as barriers to widespread use. Interest from BMS continued to grow as the project progressed, and we were soon approached with the possibility of yet another application—Could the nascent BMS-Scripps reagent platform be designed with cyclic dinucleotides in mind? While there is much to be said about the medicinal potential of CDNs, I am not the person to do it; instead, I’ll direct readers to a fantastic C&EN article published earlier this year. From an academic perspective, however, we saw an opportunity: this alluring scaffold promised a challenging and underexplored class of natural products. Indeed, most CDN syntheses are buried deep within the patent literature and published without the rigor expected of a proper total synthesis campaign. As with many complex natural products, current approaches resemble a navigational land war of protecting groups and redox manipulations, not to mention the unassailable phosphorous stereocenters. Until now, synthesis of a single, pure CDN analogue took weeks. With another goal now in mind, both teams (the Scripps side now expanded by two spectacular post-docs, Julien and Cian) worked tirelessly and collaboratively to construct what would eventually become the phosphorous–sulfur incorporation (PSI or Ψ) reagent platform, the full details of which can be found in the accompanying manuscript. We hope you’ll agree that our mission was accomplished: PSI chemistry is practical, simple, and offers complete, predictable control over the phosphorous stereochemistry. Complex CDNs can now be synthesized in two days’ time as a single diastereomer, a point previously unimaginable. Access to diastereomerically-pure oligonucleotides has never been easier; the machine confines required of sensitive P(III) chemistry are a thing of the past. Contact us about the blog! 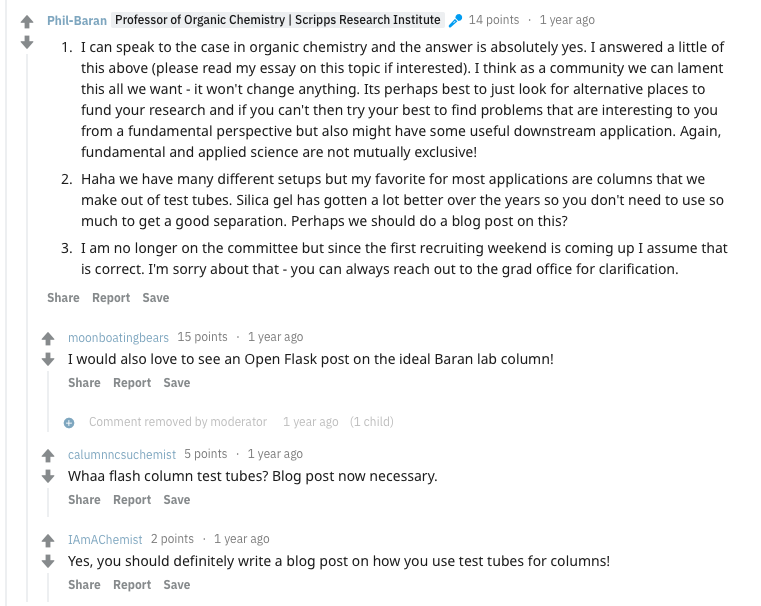 The opinions in the individual posts and comments do not necessarily reflect the opinions of the other students in the Baran Laboratory, Prof. Phil Baran, or The Scripps Research Institute.